iPhone XS Offers More Speed, Improved Camera and Better Specs than iPhone X. Although, all the new iPhones are iterations of iPhone X, iPhone XS is the identical brother of iPhone X, because both of them come with the same display size (and type), notch, stainless steel frame, dual-rear camera, glass back and even same body thicknesses. In fact, their physical difference lies in slightly change in weights; because while the previous iPhone X weigh 174 grams (6.14 ounces), the new iPhone XS weigh 177 grams (6.24 ounces). But inside, the major internal components of iPhone X have been upgraded in the new iPhone XS, therefore the new iPhone XS is equipped with more speed, better performance and improved cameras. Meanwhile, iPhone XS comes in Gold, Silver and Space Gray colours, unlike iPhone X that comes in only Silver and Space Gray colours. Infinix Note 5 Stylus Offers Better Camera, More Storage And RAM Than Note 5. 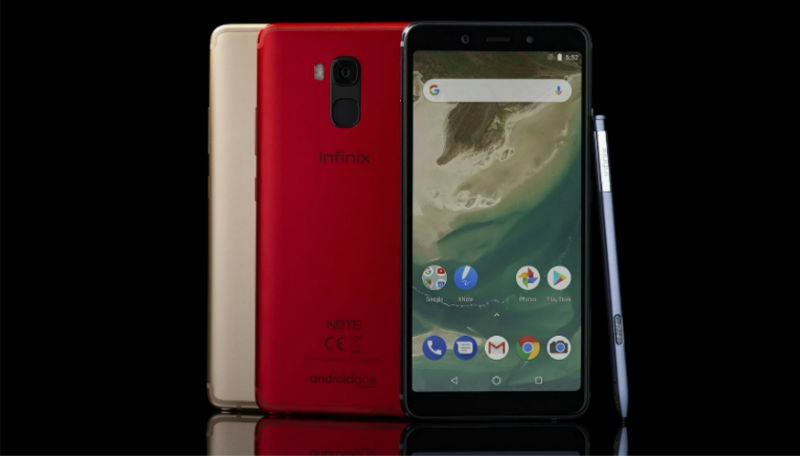 Infinix Note 5 stylus is another latest Smartphone from the Infinix Mobility and it's an improved version of the previously released Infinix Note 5. However, instead of using "Pro", the term that Infinix mobility has always used for the improved version of its Note series (and some models), the company settled for "Stylus" this time, this is because stylus Pen is the signature of the Note Series. Design-wise, while the Note 5 featured plastic body, the new Note 5 Stylus comes with a metal (aluminum) body which gives the phone a premium look and feel. Apart from that and the inclusion of the X-pen (stylus), Note 5 Stylus and Note 5 share the same looks, except for a few changes that have taken place at the back of the new phone, which are; enhanced rear camera lens and repositioning of the back camera and fingerprint reader. iPhone XS, XS Max and XR deliver better Speeds, Specs and Performances than iPhone X. A year after releasing iPhone 8, iPhone 8 Plus and the widely known iPhone X, Apple has unveiled another set of successive iPhones, and they are iPhone XR, iPhone XS and iPhone XS Max. Design-wise, the 3 new iPhones are iterations of the last year's iPhone X i.e. all the new iPhones feature iPhone X's style notch and edge-to-edge display. This means, in this year's models, there are absence of Touch IDs and thick bezels, that can be found in the iPhone 8 and iPhone 8 Plus. The adoption of iPhone X design for the new iPhones, also indicates that the hitherto iPhones Touch ID has now been replaced with Face ID which was debuted in the iPhone X. 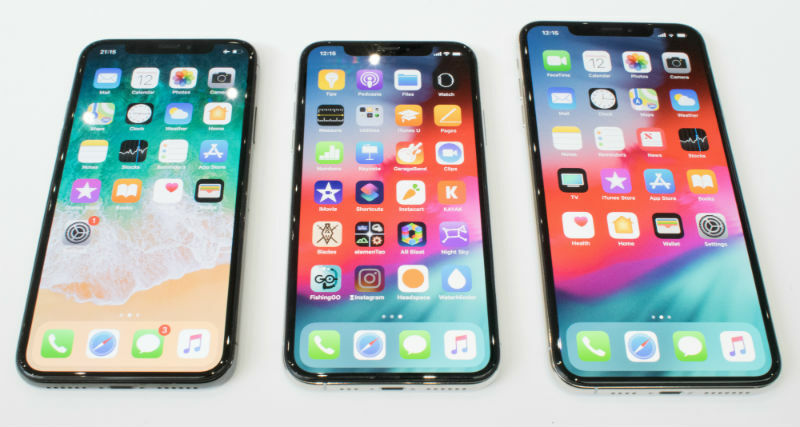 The new iPhones also come with displays that are bigger than those of their predecessors; though, like iPhone X, the new iPhone XS has the same screen size of 5.8-inch.